A small Montana utility firm with ties to the Trump administration has won a major multimillion-dollar contract to help restore large portions of Puerto Rico's crippled electrical grid. 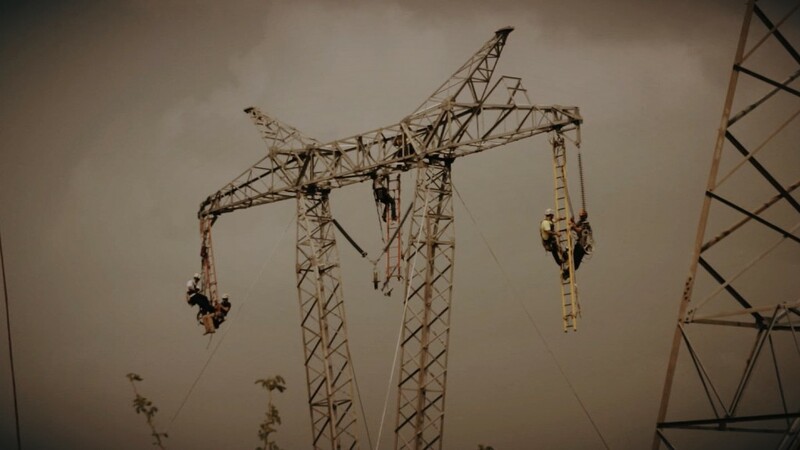 Whitefish Energy, a two-year old electrical utility firm, announced last week it secured a $300 million contract from the Puerto Rico Electric Power Authority to repair and reconstruct parts of the island's electrical infrastructure. The deal surpassed a six-month contract worth $240 million to Fluor Corp. from the Army Corps of Engineers to help bring power back to the island and a $35.1 million contract to Weston Solutions to provide two generators for temporary power to the city of San Juan. The arrangement has raised a few eyebrows among Democrats given that Whitefish only had two employees the day Hurricane Maria hit. Already, Whitefish has scaled up to 300 employees in Puerto Rico -- and it says 700 more are on the way. Such quick growth is typical among utility firms when they are awarded large contracts. On Tuesday, both a House and a Senate committee called for a review into the Whitefish contract. "Today I am calling on the Government Accountability Office to investigate the circumstances surrounding the multi-million dollar contract awarded to Whitefish Energy -- a brand new company with two employees," said Democratic Senator Maria Cantwell, the ranking member of the Senate Energy and Natural Resources Committee, on Tuesday. "The size and unknown details of this contract raises numerous questions," said Parish Braden, a spokesman for the House Committee on Natural Resources, which is also reviewing Whitefish's role in Puerto Rico. Others have questioned why PREPA did not choose a larger, more established utility. "Congress needs to understand why the Whitefish contract was awarded and whether other, more cost-effective options were available," said Democratic Rep. Raúl Grijalva from Arizona, in a statement Tuesday. PREPA's executive director, Ricardo Ramos, told reporters last week during a press conference the cash-strapped island chose Whitefish because it didn't require a big deposit upfront. The other unnamed contender wanted a $25 million down payment for the work, Ramos said. Zinke's office acknowledged they received an email from Techmanski, but said no one at the agency took any further action. On Tuesday, the spokeswoman for the Department of Interior told CNN Zinke played no role in securing the work for Whitefish in Puerto Rico. The bankrupt utility, which is $9 billion in debt, could have requested aid after Maria through the American Public Power Association, a network that provides help to other utilities during widespread power outages. That's what Texas and Florida did after Hurricanes Harvey and Irma. A PREPA representative did not respond to an email from CNN asking why the utility didn't activate the mutual-aid network. On Monday, Rep. Nydia Velázquez -- a New York Democrat -- sent a letter to the head of the Federal Emergency Management Agency raising questions on the handling of such contracts to restore power and water to the crippled island. "Due to the island's current state of affairs, there is a legitimate and unquestionable need to expedite the process of restoring power and water for the residents in Puerto Rico," Velázquez wrote in the letter. "However, such an accelerated procurement process should not be without sufficient safeguards and proper oversight mechanisms."